In a Nutshell: Businesses understand the importance of collecting reviews, but how they leverage them is just as vital. With ResellerRatings, a company can obtain scores of reviews and syndicate them through its own website as well as a variety of different channels like Google, Bing, and Facebook. Retailers have access to powerful tools to acquire product and brand ratings in addition to a customer relationship management platform to fix issues before they become negative reviews. ResellerRatings takes a holistic approach to the feedback process and provides businesses with a one-suite solution spanning the journey from review to syndication. With 90% of customers reading reviews before making a purchasing decision, the power of the consumer’s voice has never been greater. And as that power has increased in the last decade, modern businesses have shifted marketing resources to use those voices to build a reputation and attract potential customers. But review collection is only half of the story. A broader strategy is needed to maximize the impact of reviews and spur business growth. ResellerRatings is a complete solution that allows a company to put reviews to work. From active collection and syndication to innovating new review strategies and management, ResellerRatings adopts a holistic approach to the process. ResellerRatings Director of Product Nishan Sothilingam talked to us about how reviews are being used in new ways. By partnering with ResellerRatings, a business can syndicate reviews to many of the most popular ad sites in the world, allowing the consumer voice to reach its full potential. Whether it is a large retailer or a small one, ResellerRatings has solutions that can boost conversions and attract new customers. 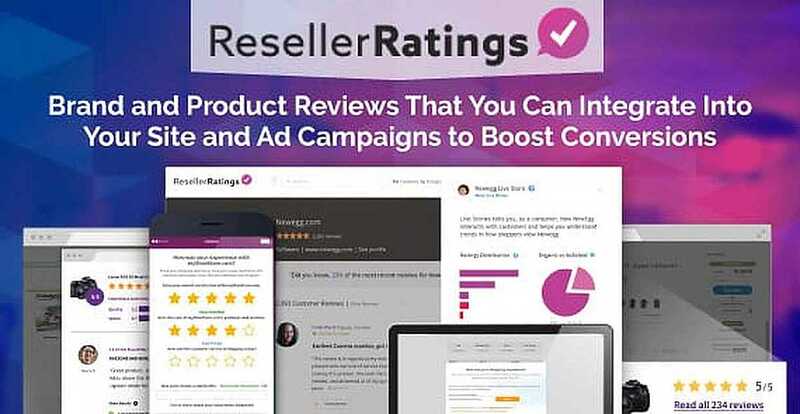 ResellerRatings offers a one-suite approach to reviews, meaning that brand and product review collection, as well as syndication, are all in one easy-to-use platform. By leveraging customer experience data from sister company Foresee, ResellerRatings collects reviews from consumers at the right time in their journey, leading to ratings that better represent a company. And through ResellerRatings, those reviews become more than just an opinion in a sea of other opinions. What makes ResellerRatings different is that it sees reviews not just as a static interaction, but as a chance to have a dynamic conversation with a consumer. The review process can be just the beginning of a relationship. Businesses can resolve issues before they become bad reviews with a built-in customer relationship manager. ResellerRatings allows companies to respond to issues by analyzing reviews to determine if a customer experienced any problems that can be resolved. Retailers can flag negative reviews which can then be routed to the appropriate team to reach out to the client and rectify the issue. ResellerRatings’ approach to customer service is quick and direct engagement with the hope of turning each transaction into a satisfying experience. This customer-focused approach can lead to the collection of more positive reviews because consumers can update their review within a 48-hour window before it goes live. Enterprise-level companies have worked hard to earn consumer trust, but the way that trust is built has changed. According to a BrightLocal study, 84% of consumers trust online reviews as much as a personal recommendation. ResellerRatings helps retail giants, like Target, Best Buy, and The Home Depot, harness the power of reviews to build brand trust on a large scale. With ResellerRatings, a company can put its best foot forward in brand and product reviews as well as organic search. Through ResellerRatings, a company’s reviews easily integrate with Google’s Adwords, and a retailer can enable star ratings to foster trust with a potential customer immediately. ResellerRatings also helps businesses rank higher in ‘reviews’ searches on other engines like Bing. 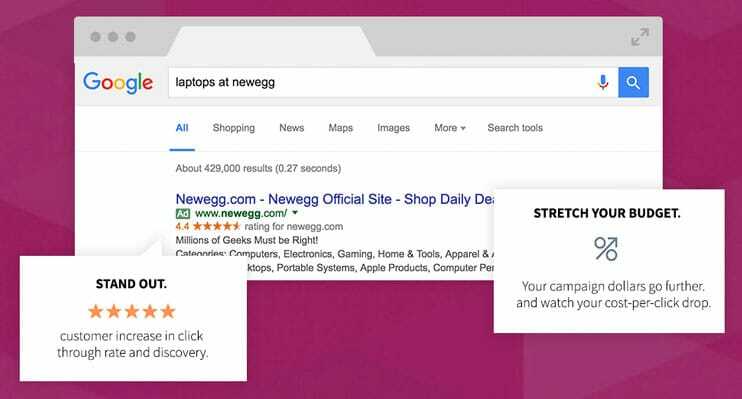 And reviews can be added to product listing pages on both Google and Bing. Reviews can also be syndicated to Facebook using an app in the company’s profile, or businesses can integrate the ResellerRatings API to push reviews to other outlets like Hubspot or Twitter. Larger retailers can build ResellerRatings into their business models, websites, and advertising strategies, but Nishan says there are plenty of applications for smaller retailers, too. When a small business is trying to establish itself, reviews are a proven way to build trust. For 74% of consumers, positive reviews make them trust a local business more. By allowing smaller retailers to collect and embed reviews immediately, ResellerRatings brings the power of the consumer’s voice to the local level. Nishan said local entrepreneurs seek out ResellerRatings because of its reputation and the power reviews have. With all that is riding on reviews, a reliable partner is needed not just for collection, but to help a business leverage those consumer voices to become a rallying cry. That is why ResellerRatings starts by focusing on the customer first. It is no secret that when customers are happy, businesses benefit. But converting that happiness into something tangible is vital in today’s connected landscape. When nine out of 10 potential customers are consulting the opinions of others before they buy, seeing reviews from other satisfied consumers becomes a prerequisite for buying. “A consumer’s voice has immense power, and we want to make sure that we continuously foster that,” Nishan said. It all begins with the consumer experience. By building in customer service to its review process, ResellerRatings turns satisfied consumers into powerful brand advocates. A retailer can then amplify that voice, whether it is on Google or a local business homepage, to grow its reach and conversion rate. Every consumer voice matters, and ResellerRatings ensures that businesses benefit from hearing them.